Batesville's boys and girls cross country teams, plus individual runners from South Ripley, East Central, Franklin County, Jac-Cen-Del, Switzerland County and Oldenburg Academy are going to the IHSAA Cross Country Semi-State. 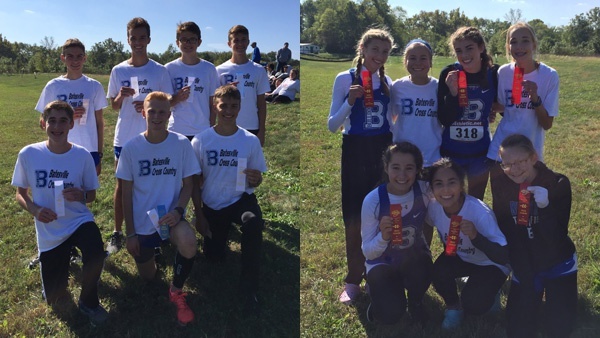 Boys and girls cross country teams from Batesville High School enjoyed top-five finishes at the IHSAA Cross Country Regional at Shalbyville on Saturday, October 13. Photo by Batesville Bulldogs. (Shelbyville, Ind.) – Already conference and sectional champions, the Batesville boys and girls cross country teams continued their great seasons at the IHSAA Cross Country Regional at Shelbyville on Saturday. The Bulldog girls placed second as a team and the boys placed third, both among the top five teams which earn advancement to the IHSAA Cross Country Semi-State on Saturday, October 20. Two Batesville girls finished in the top five. Elizabeth Loichinger was fourth at 19:32 and Lily Pinkley was fifth at 19:37. South Ripley girls placed seventh as a team, but had two runners punch their tickets to semi-state. The IHSAA allows individuals to advance without their team if they are among the top 10 individuals from non-advancing teams. Raiders senior Megan Cole placed third at 18:52. Teammate Elyse Hunger was 19th at 20:38. East Central was 8th in the girls team standings, led by semi-state qualifiers Emilee Wedding at 20:28 and Emma Few at 20:57. Lawrenceburg’s Hannah Morgan was 20th overall at 20:44, good enough to clinch an appearance at semi-state. In the boys competition, Batesville’s third-place team was led by freshman Ean Loichinger, who crossed the finish line in 16:12 to place sixth. Teammate Adam Moster was ninth at 16:28. No other local team advanced. 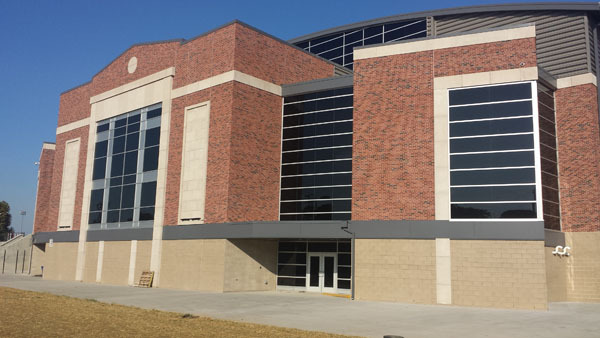 East Central was seventh, Oldenburg Academy ninth and Jac-Cen-Del 10th. However, some individual boys did perform well-enough at Shelbyville to move on to the semi-state meet alone. Jac-Cen-Del sophomore Damon Hughes was 18th overall at 16:58. Oldenburg’s Tyler Kuntz’s 17:28 was good for 23rd, while teammate Dylan Fledderman will join him at semi-state by placing 32nd at 17:45. Franklin County’s sectional champion Lauren Kelly placed eighth at the IHSAA Regional Meet at Rushville on Saturday. She completed the course in 19:34, fast enough to advance to semi-state. Franklin County placed 6th as a team, but Kelly is the only Wildcat to go on to semi-state. Switzerland County senior Leah Anders competed at the Brown County Regional. She and the rest of the Lady Pacers team placed seventh. Anders was the only Switz runner to advance to semi-state as she placed sixth with a time of 19:50. Find full IHSAA Cross Country Regional results for boys and girls at http://www.ihsaa.org/dnn/Sports/Boys/CrossCountry/2018-19/StateTournament/tabid/2172/Default.aspx.